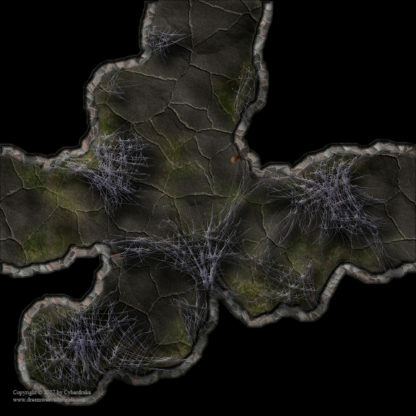 This free Add-On contains 39 unique cave map tiles (8×8 grid squares each) for creating spider-infested cave layouts. 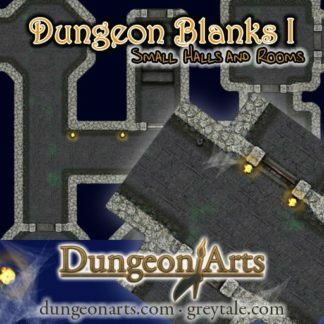 It is primarily useful in fantasy/medieval or horror genre games. 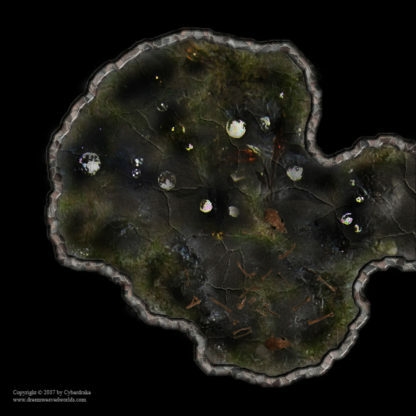 Well made, highly-detailed, easily customizable, blends seamlessly. As a highly-experienced DM, I’ve used many map creators. 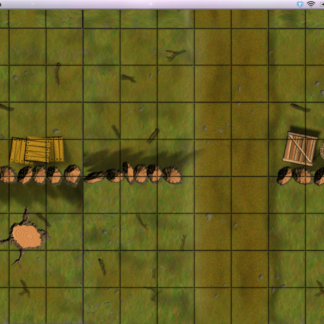 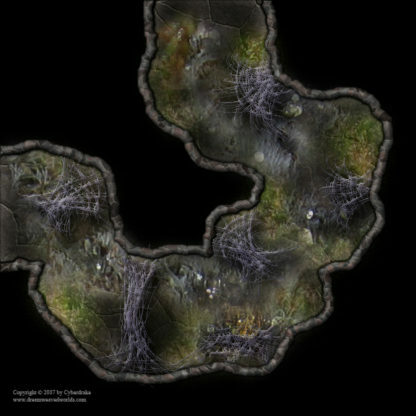 This particular addon is great for campaigns and modules that incorporate any sort of cave system, spiders or not. 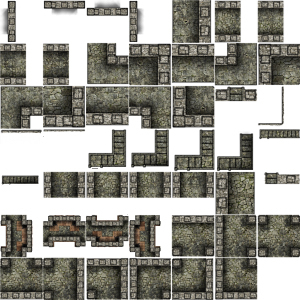 The tiles can be flipped and rotated, or stacked on top of one another to create dungeons that fit your specific needs. 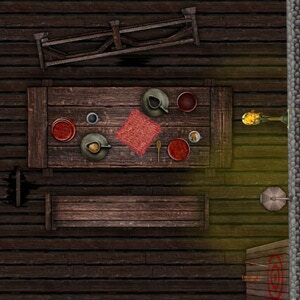 The set also works well with items and tiles from other sets within Map Forge.